Weizmann Institute "Where Wonders Never Cease." What does The Weizmann Institute do? 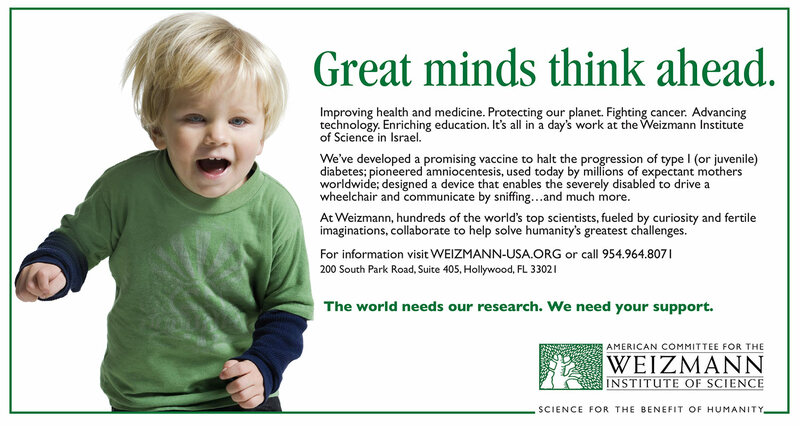 In a straightforward, compelling and identifiable print campaign, we illustrated that The Weizmann Institute of Science “makes the world a better place to live.” From amazing scientific breakthroughs to large global challenges, our campaign described the accomplishments of the scientists at Weizmann and how they influence today’s medical, technological and lifestyle advancements. Each ad reminds our audience that they too can participate in making the world a better place for all to live – by helping to fund the Weizmann Institute and its important and transformative work.